MOSCOW (Sputnik) — Russian rocket artillery brigades will be rearmed from the Smerch systems to modernized Tornado-S multiple launch rocket systems (MLRS) by 2020, Russian Missile Troops and Artillery commander Gen. Mikhail Matveyevsky said Monday. "The rearmament of all missile brigades to modern Iskander-M missile systems and rocket artillery brigades to large-caliber Tornado-S multiple launch rocket systems will be completed," Matveevsky said, describing plans until 2020. According to Matveyevsky, the planned rearmament from large-caliber MLRS Smerch to upgraded MLRS Tornado-S starts in 2017. Matveyevsky added that serial deliveries of Koalitsiya-SV self-propelled guns (SPG) to the Russian army would also begin by 2020. The long-range 300-mm Tornado-S MLRS, manufactured by the Splav Research and Manufacturing Company, can fire at a range of 120 kilometers (75 miles) and strike an area of over 60 hectares (150 acres). 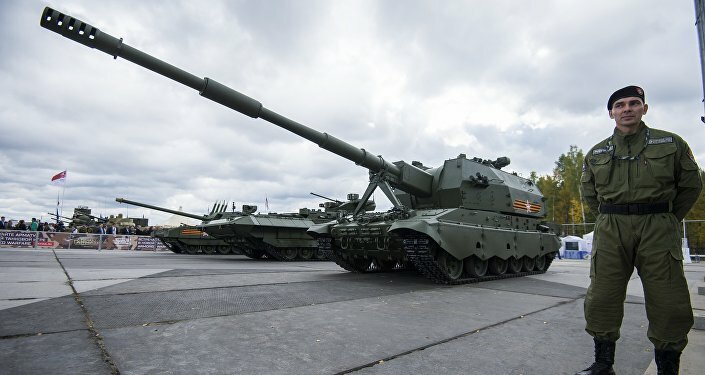 The 2S35 Koalitsiya-SV SPG with a 152.4 mm 2A88 gun was first unveiled at the Victory Day parade on May 9, 2015, in Moscow and is expected to supplement and then replace the 2S19 Msta self-propelled howitzers in the Russian Army.